Agility for dogs gives both you and your dog great exercise and sets aside special time to spend with each other. Imagine competing locally and making new friends who share your love for dogs. We hang out with our dog friends, share food, enjoy the outdoors and the camaraderie of competition. Maybe you want to compete on a national or international level. MJ has competed all over the United States and Europe. What a wonderful way to see the world and meet so many different people. Learn agility using positive reinforcement while shaping behaviors. See how much fun it is to teach your dog new tricks. Learn the moves, have some fun, come and join me in the sun. 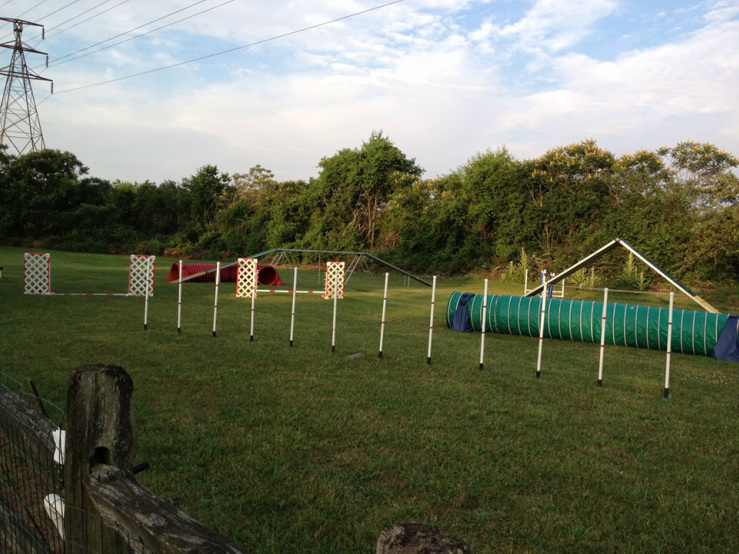 Classes are held outdoors in 100 x 200 agility field. Private lessons or seminars available upon request. Private lessons available Monday or Thursday evenings from 6:00-7:00 . Saturday and Sunday classes or privates from 12:00-5:00 pm. Call or e mail to reserve your spot today.